Danica Patrick: Future Food Network Star? The racer wants to host her own cooking show in racing retirement. Unfortunately for NASCAR, maybe the biggest storylines in the sport heading into 2018 is who isn’t going to be there instead of who is going to be there. 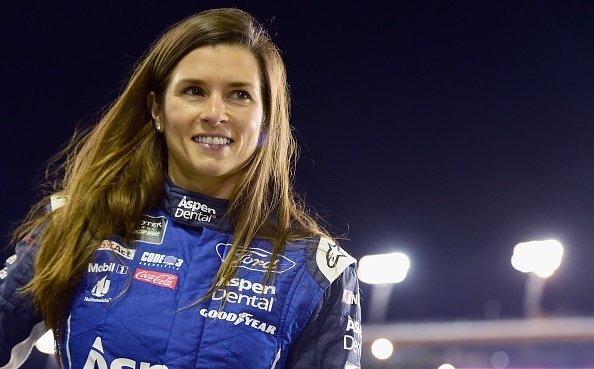 Arguably the sport’s two most widely recognizable names (at least to casual fans) are both stepping away — Dale Earnhardt Jr. and Danica Patrick. Earnhardt has already called it a career and will soon be joining the NBC Sports. Patrick will race in this year’s Daytona 500 and Indy 500 and then step out from behind the wheel as well. When announcing her retirement, Patrick said she wasn’t immediately going into television to cover racing like Earnhardt. Instead, it seems as if Patrick has another dream in mind. In an interview with espnW, Patrick talked about hoping to move into television in a different realm outside of sports. She would like to one day host her own cooking show. Retirement looks bright! I think many people retire and don’t know what they’re going to do next and have to figure it out, but I know what I’m going to do. I don’t doubt that [retirement] will change and shift my life in ways I would never expect, so I’ve got to be ready for that. But at this point in time, it’s about spending more time with Somnium — my wine brand — doing more events there, promoting, making sure that I’m on top of the quality control. I’ll do the same for [my] clothing line, Warrior. Expanding and growing that, and being more hands-on with everything from fit and fabrics, to the branding and the shoots and just generally the aesthetic feel of the brand. I’d like to expand in the book world as well. I don’t even know what that might lead to, exactly. Maybe it leads to public speaking engagements — generally that arena of educating people. That could take any shape. I’d also like to have a cooking show, to help people learn how to cook healthily. So those are my retirement plans. Not much, ha! Oh yeah, I’d like to travel, catch a few concerts and see some places in the world that I’ve never seen. Those are just the fun things on the side. Healthy eating and cooking is a big part of Patrick’s life and the focus of a new book that is being released. As for whether or not Patrick could make it on Food Network — why not? A show about eating healthy might be a nice compliment to a show like Man vs. Food where someone tries to see how quickly they can eat themselves into congestive heart failure. I think the last cooking show I remember that actually focused on somewhat healthy eating was Graham Kerr’s Kitchen back in the 1990s. Patrick is still very young at 35 and settling down for the weekly grind of covering NASCAR may not be of interest right now. If and when she ever decides to enter into the broadcast world for NASCAR, Fox and NBC would both race to try to sign her to a deal (and probably even ESPN for that matter). Could she excel on Food Network until then, though? If Guy Fieri can do it, why not?